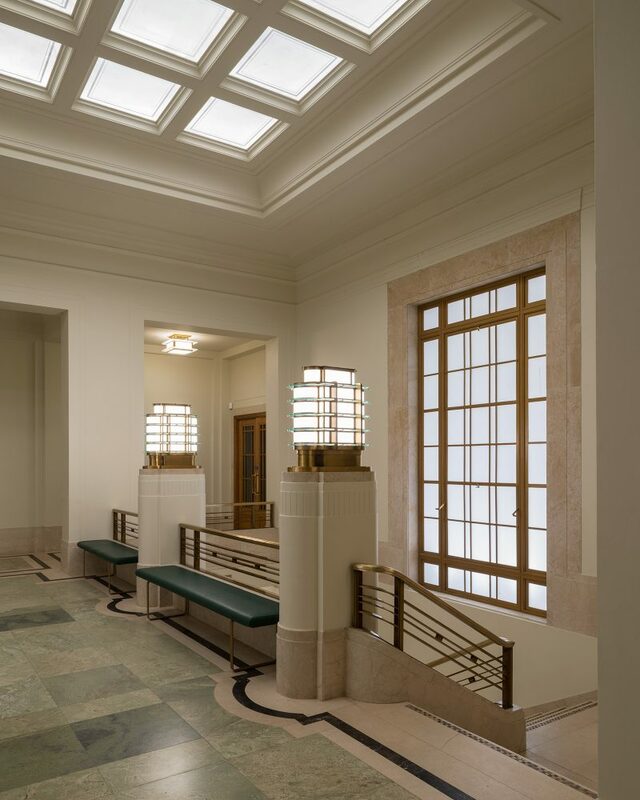 In 2010 our our founder and heritage lighting expert James Hall was commissioned to survey the Art Deco light fittings ahead of major refurbishment works planned at the Town Hall. 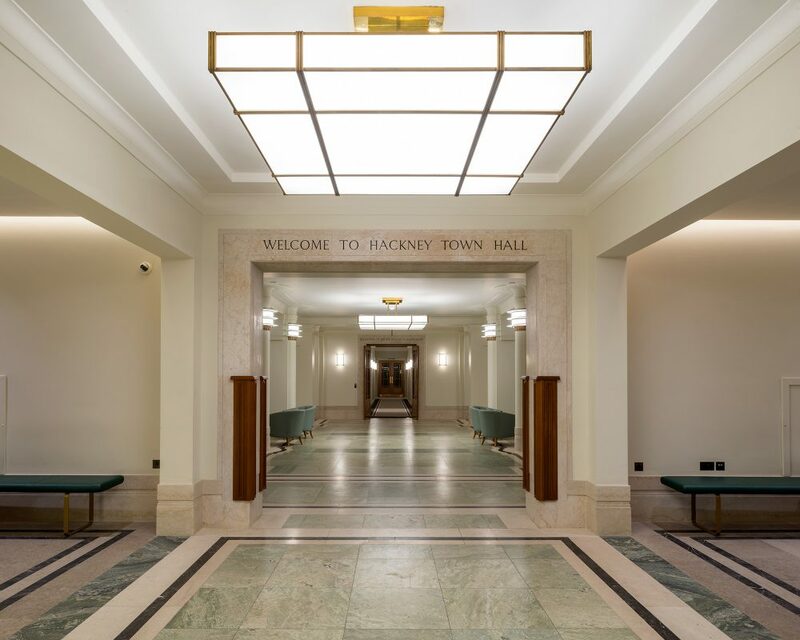 Madson Black subsequently won the contract to refurbish and restore the heritage lighting at the Town Hall, also providing new lighting solutions to many areas. 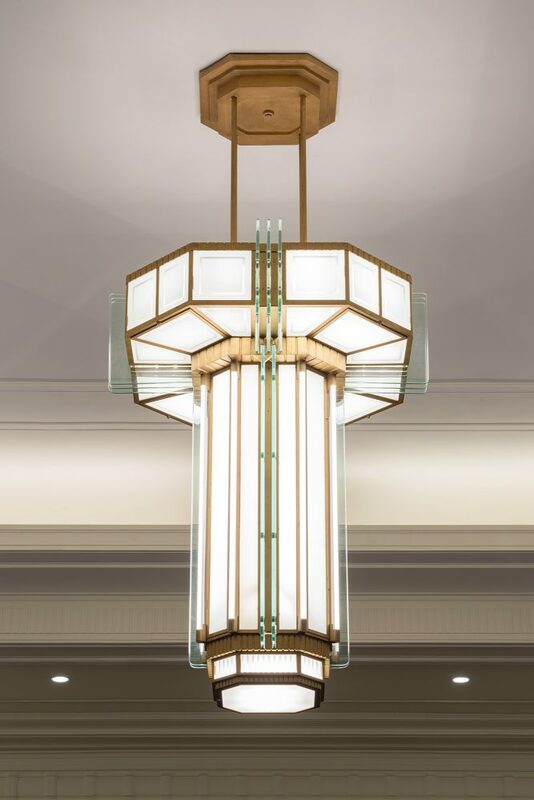 The project involved removing very large fittings, which had not been moved for decades, and restoring them complete with matching glassware. 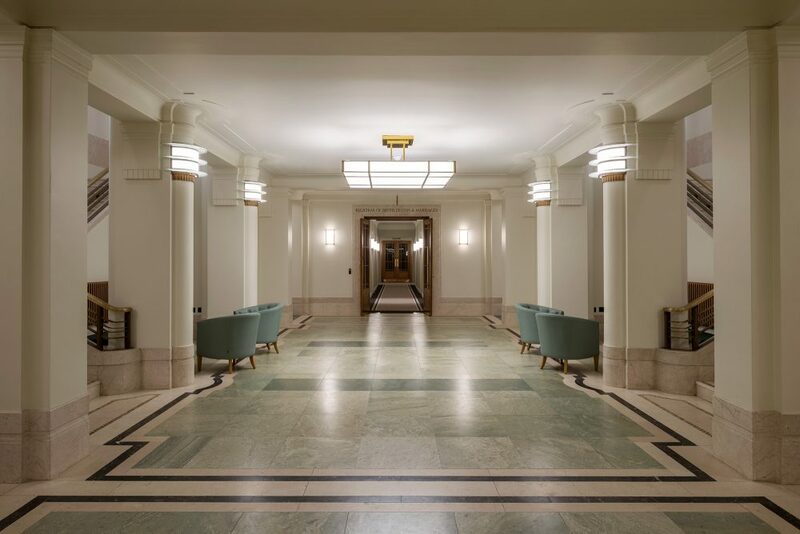 An additional brief was to upgrade the light sources within all the fittings to be both energy efficient and controllable via a lighting management system. 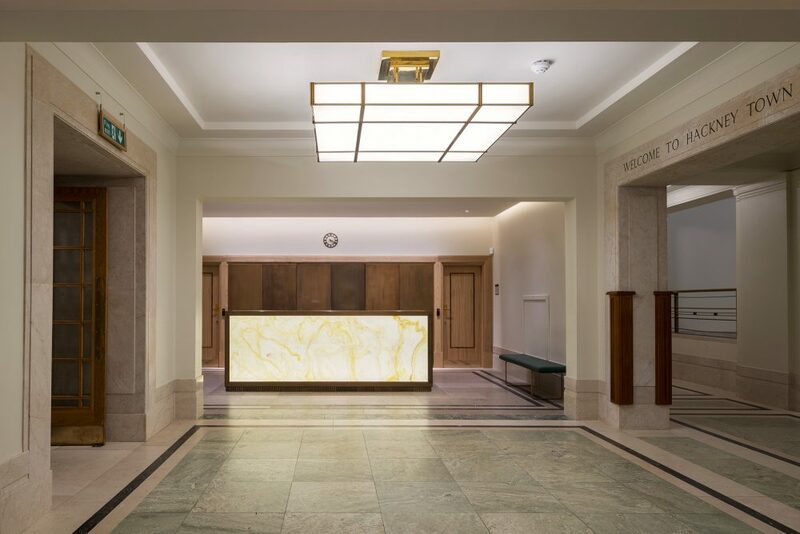 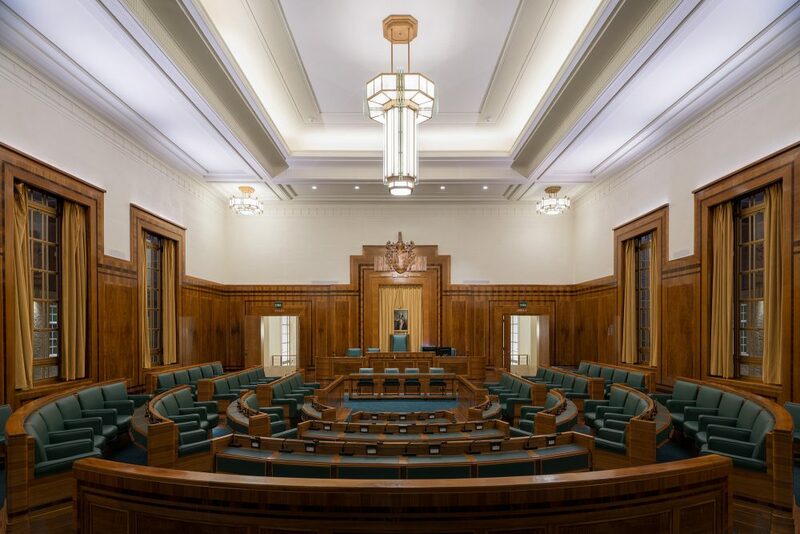 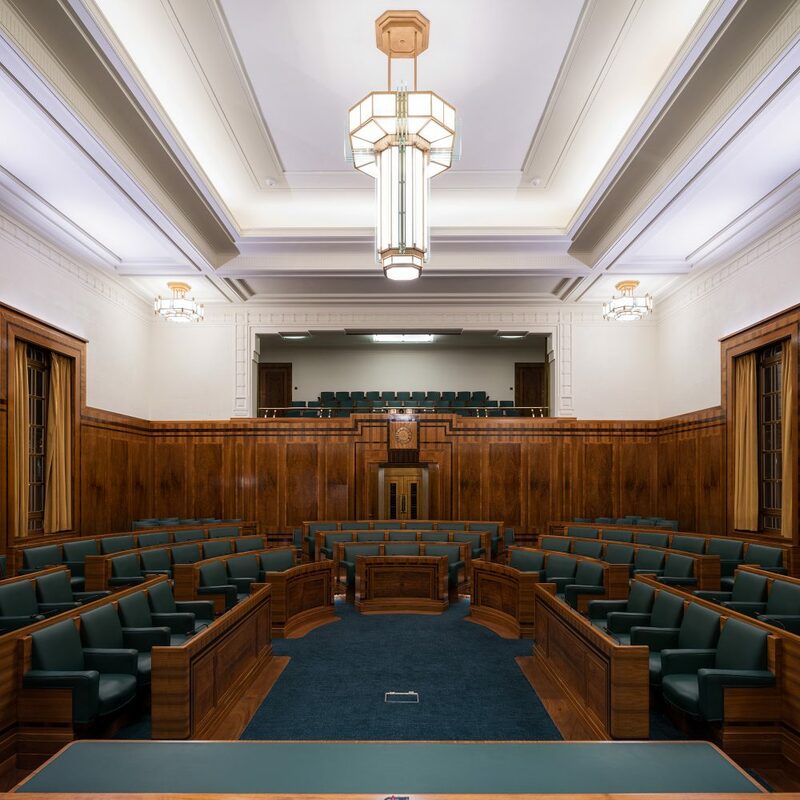 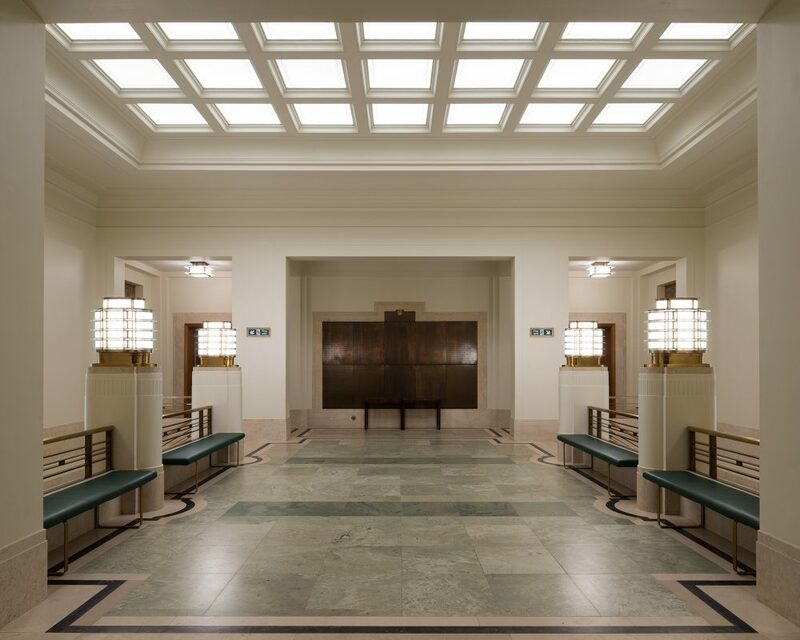 In 2017 Phase 4 of the project was completed and included the restoration of the Council Chamber lighting including the large central chandelier along with the Main Reception area which included the manufacture of a large Reception Desk and new build large pendants.